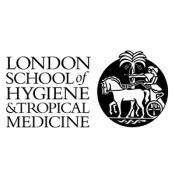 LSHTM is a research and postgraduate teaching institution. It supports one of the largest groups of researchers in Europe working in areas related to public health in developed and developing countries. This includes a large concentration of statisticians. The Department of Medical Statistics sits within the Faculty of Epidemiology and Population Sciences, and is a worldwide leader in the profession of medical statistics, with a particular expertise in clinical trials. Leading researchers (all professors) include Stuart Pocock, Stephen Evans, Diana Elbourne, James Carpenter and Michael Kenward. Their work addresses both collaborative and methodological aspects of clinical trials research, especially in cardiovascular diseases. In SECURE, LSHTM will be responsible for leading all statistical aspects of the project. Stuart Pocock, Full Professor. He has been a full professor at LSHTM for over 25 years. He has a lifetime experience of research in clinical trials, both in specific major international trials (especially in cardiovascular diseases) and in methodological developments. He is a worldwide leading expert on statistical aspects of cardiovascular trials and currently collaborates on around 30 specific ongoing trials. He will lead all statistical aspects of the proposal. Tim Collier, Senior Lecturer. He obtained a masters in medical statistics from LSHTM in 2001 and has worked in the Medical Statistics Department at LSHTM for the past 15 years. His research is mainly focussed on clinical trials with particular interests in cardiovascular and surgical trials, data monitoring and statistical computing.